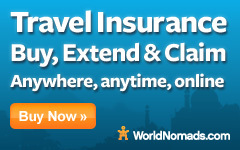 ▷ Bangladesh [ Country ] AllTravels :: Anywhere You Want To Go & Anything You Want To Do ::. Anywhere you want to go in the country of Bangladesh, you can use the menus above, the map below, or the links below that to see current weather conditions, recent photos and the top rated YouTube travel videos of Bangladesh. You may also find airports, hotel accommodation, live webcams, tours and activites and hire car rental as per the links below.